The very first Groupon I bought was for Mixbook.com. It was a great deal and the reviews for the product looked great. Aaaand…even though Asa was already 2 and baby #4 was about to make her debut, I still hadn’t made him a baby book. 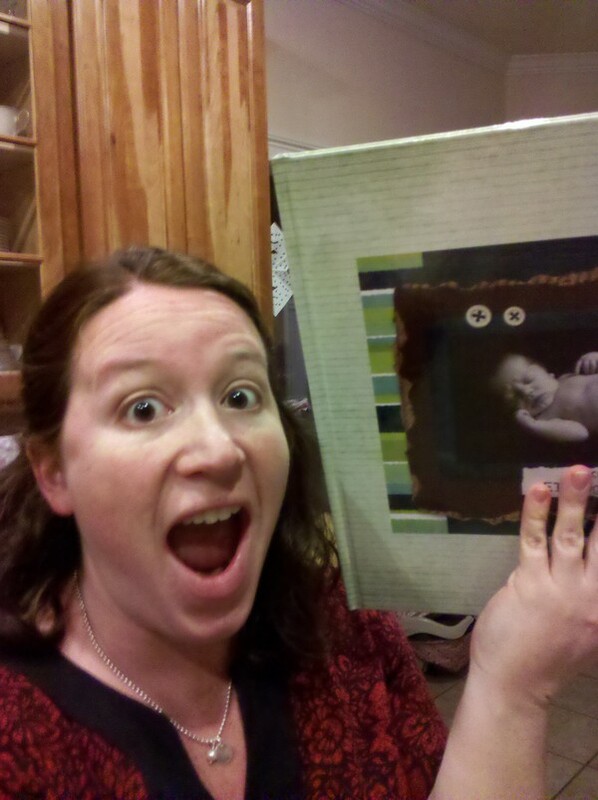 Carter’s baby book is about 4 inches thick and was scrapbooked as we went along. Lydia’s baby book is maybe 2 inches thick, with a lot less details because I didn’t do it as I went along. And poor Asa had nothing. The week after Alden was born, my mother-in-law was here and I decided that it was a perfect time to get this book done! I spent a lot of time gathering my photos and putting them in one easily accessible file. I went to Mixbook.com and couldn’t believe how much fun it was. I’ve always loved scrapbooking-the cutting, the pasting, the tactile part of it. And I always thought that I wouldn’t like digital scrapbooking because it wouldn’t be hands-on. But this site-unlike several other sites I’ve used before-gave me complete creative control. but you can also upload pictures from places like Flickr, Facebook and Picasa. OR you can move things around or design it yourself…even down to the tiniest details. Here’s the page I did for his 9 month pictures. the bottom is a picture of the printed version. I took out the bees, the bug sticker and I changed the words. I also changed some of the frames and added a few pictures. You think I was excited much when it came in the mail? You can add multiple contributors! Think about all the possibilities there! Siblings could work together on a Mother’s Day gift, even if they live miles apart. Co-workers could all add their own touch to a retirement gift book. You could even do a wedding gift that allowed people to add their own pictures of the couple and a note to them. Something else I’m excited about is the save function. In order to not do what I did with Lydia and Asa, I’m doing Alden’s book as we go along. There is no time limit on how long you can save your projects! So I’ve done her birth day and these first 2 months and at the end of the year, I’ll print it! The best part is that it won’t break the bank! They have a variety of sizes(hardback or soft cover) starting at only $6.99! I’ll admit that for this price, I wasn’t expecting the print quality to be very high. I was very impressed with how clear everything was and how true-to-color all the pictures were. If you’re interested in seeing more sample books, check out the Mixbook Gallery. They also have calendars and a wide variety of stationary options! Watch this and see how easy it is! So are you excited yet? Do you want to start your own Mixbook right now? Well…I have a complimentary 20-page, 11×8.5 landscape, hardcover photo book for one of you! 1. Go to Mixbook.com’s theme selection page and tell me which theme is your favorite. 2. Post about this giveaway on Facebook and then let me know that you did in the comments section. 3. Tweet this giveaway and leave the link to your tweet in the comments section. Giveaway closes at midnight(EST) on this Friday(March 25th). Winner will be selected at random and contacted by email. I purchased my first Mixbook and fell in love with this product. I was so excited when I had the opportunity to write a review for them! As compensation for my review, I did receive a second Mixbook for free. I can assure you, however, that I will be a long-time Mixbook customer. 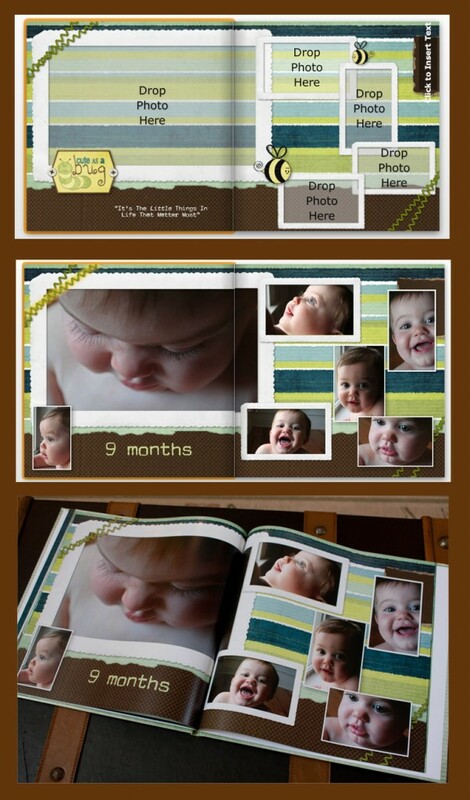 I love the Baby Scrapbook theme. So cute and boy-ish! I wish I hadn’t fallen so far off the wagon with the boys’ pictures. That’s the downfall of the digital camera, I think. They live in the computer forever and never get printed. But this is so cool! Oh so awesome! I am in need of a baby book for Bella’s first year too! My favorite is the Rad Plaid! Took me a minute to figure out this part, and I thought I was semi computer savy! Anyway a link to my post about the giveaway! I like the great outdoors theme! I shared your giveaway on facebook….hoping this is the right link! Oh my goodness, this is the best option I’ve seen for something like this! And the giveaway closing on my Birthday must mean I’m meant to win, right?! 😉 My favorite theme is: Party Time! (though there were so many great ones)! I love the baseball theme and have already put together and saved an album of my son’s 2010 All-Star season! What a fabulous website! I love it and there are SO many choices!! Thanks for blogging about it! My favorite theme is: A Year in Review. I’ve used Snapfish and Shutterfly before, but this is the first time I’ve checked out what mixbook.com has to offer. I like their themes a lot better than what is currently available on Snapfish or Shutterfly. I really like the “year in review” theme. That would be a fun one to work on!